For us — that is to say, for artists — what does the notion of the “individual” signify, and how can we take it apart? And how can we reconsider the position of the “author” in the context of artworks and art projects? To what extent do we execute things in accordance with our intentions — or deviate from those intentions and “fail”? When things don’t proceed in accordance with an intention, should we even call it a failure? Rather, is this not a method of opening up the process in question to an infinite number of possibilities? These were some of the thoughts that went through my head as I listened to HU Fang’s words. Dialogue with HU Fang always unfolds at a leisurely pace: it is akin to the work of imagining what ingredients were used as one chews intently while savoring a dish. That’s why a conversation with him always manages to turn my thinking upside down. At some point, HU’s thinking, which you had been following step by step, takes a completely different turn somewhere over the course of the conversation. 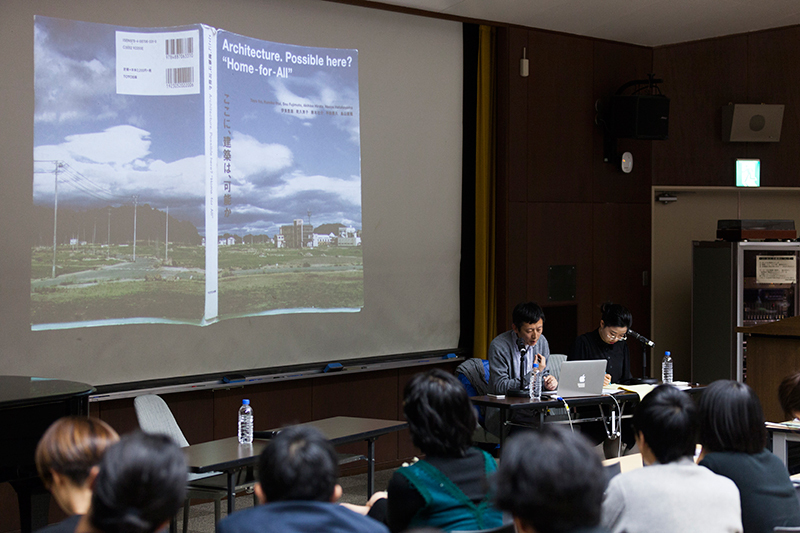 At some level, HU Fang’s talk at Tokyo University of the Arts was an attempt to reconfigure several things and events that he had himself encountered. I had already heard about what those things were. Vitamin Creative Space, which Hu co-directs, had started doing research into agriculture: how long did it take for that research to culminate in this art space called Mirrored Gardens? 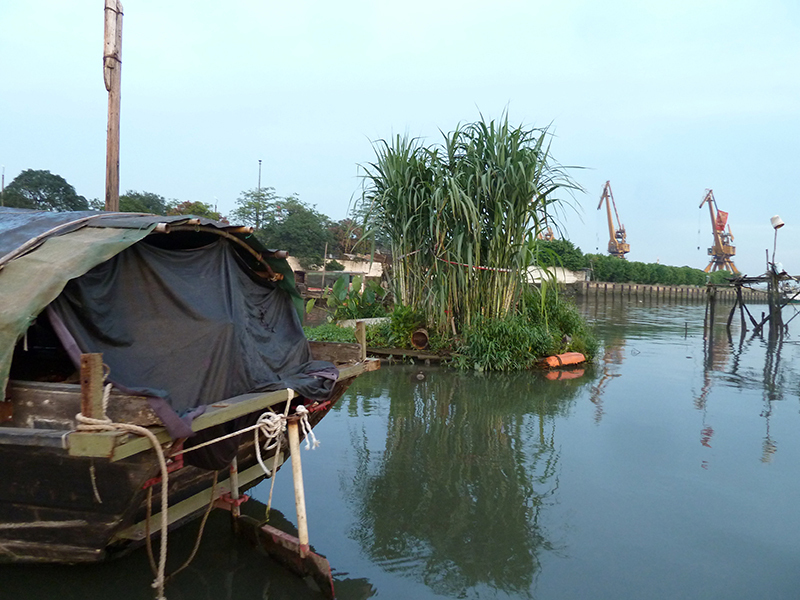 It seemed as if ages had passed since I visited Guangzhou, China, when the site was still an empty plot. Each time I met him, though, we were both en route to somewhere, and I never understood where these various bits and pieces were heading, even if the individual things he talked about were concrete and graspable. In that sense, I was able to listen to this talk as a sort of process that wove all these disparate fragments together. HU Fang’s interests are wide-ranging. In this brief report, I will attempt to reconstruct, in my own way, the manner in which these divergent stories, branching out in multiple directions, came to be connected to each other. 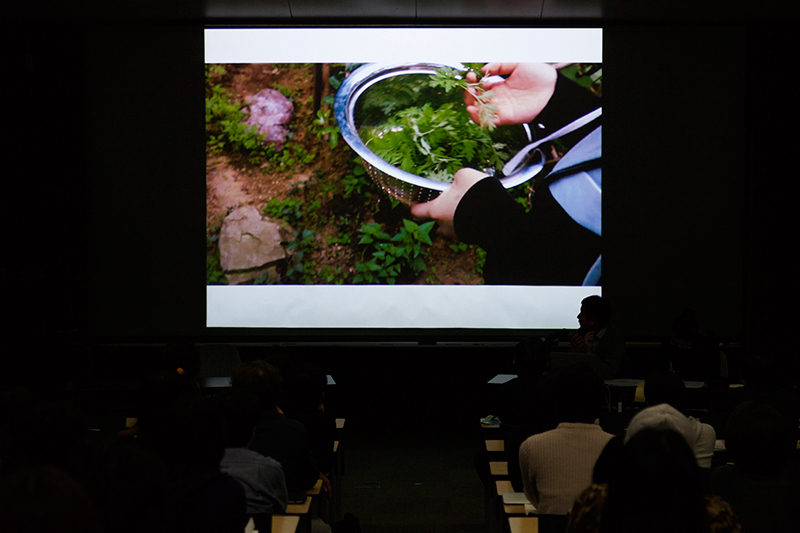 When did HU Fang and his colleagues — in other words, Vitamin Creative Space — first become interested in natural farming? At the time, I don’t think I really understood what the term was referring to. In California, where I used to live, organic food constituted something of a luxury lifestyle: it was related to one’s social status first and foremost, rather than a healthy diet and approach to food. American grocery stores are almost cruelly segregated in accordance with economic disparities in the population, with separate stores catered to one’s spending power. At the very top is Whole Foods Market, which is extravagantly stocked with organic food and vegan produce. While I actually did go there occasionally, there were times when I was shocked by the bill at the checkout counter. Whole Foods represents a “Quality of Life” that is accorded only to the winners in the capitalist economy: it makes us aware of the fact that consideration for the environment and one’s health is, above all, a matter of money. Accordingly, my own knowledge of natural farming stopped at the level of “a more extreme instance of organic farming.” Without the chance to get a grasp of its original significance, I understood the term to refer to “a capitalist product with a higher added value.” This, of course, was completely off the mark, and HU Fang was obviously not interested in this interpretation of the term. Rather, he was concerned with the question of “authorship”, something I was also familiar with. 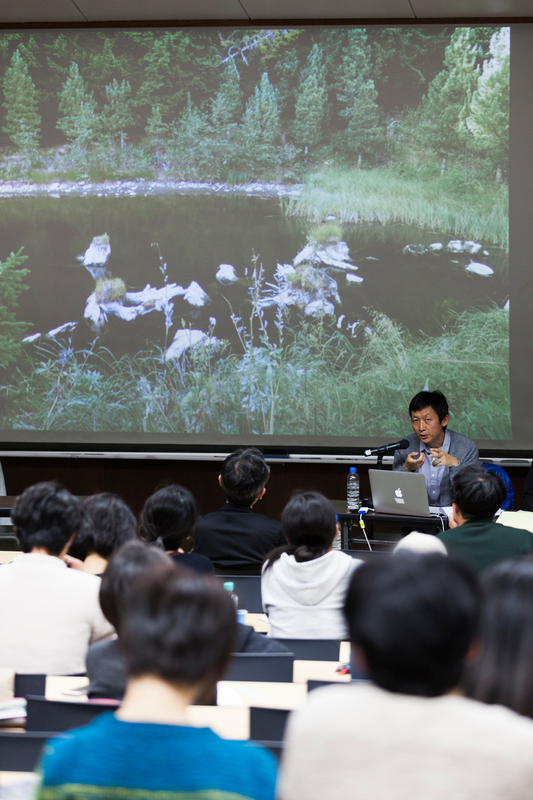 HU Fang spoke about Sepp HOLZER’s attitude and disposition while showing photographs of HOLZER’s farm, located in Krameterhof, on the slope of an Austrian mountain. What is interesting about HOLZER is the fact that he did not create his own farm as a result of learning about the agricultural techniques that are typically referred to today as “natural farming” or “permaculture.” Rather, he conducted extensive research into the question of how he could construct an environment that would let him cultivate plants for the purpose of maintaining the land that he had acquired, studied different types of vegetation, created ponds, and protected the ecosystems. 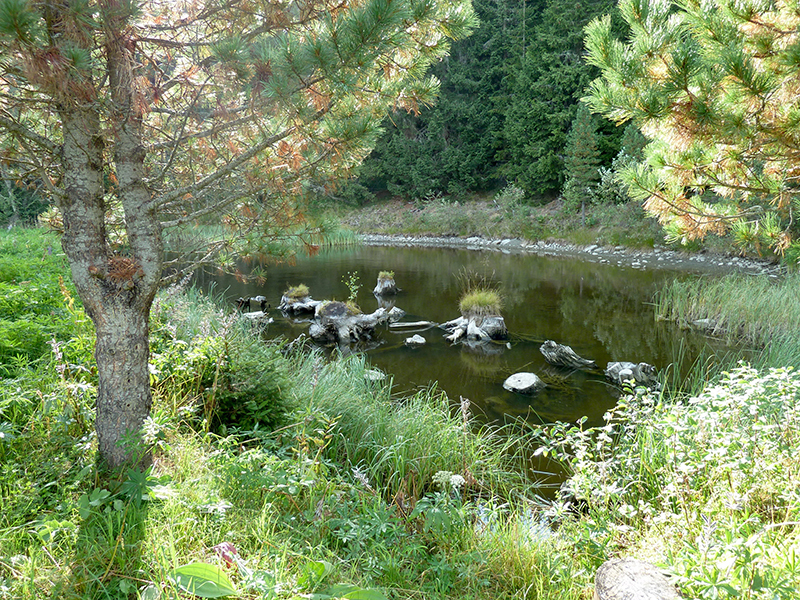 The result was something that almost completely came to resemble “permaculture, ” which is what it came to be called. To put it another way: without knowing what he was doing, HOLZER derived a methodology as a matter of necessity. If organic farming is a mode of agriculture that does not resort to the use of chemical fertilizers or pesticides, permaculture refers to an approach to farming that does not till the land, and refrains even from weeding or pest control. Masanobu FUKUOKA is famous for being an advocate of this method in Japan, and it was from HU Fang that I first learned of his name. Sou FUJIMOTO, who designed the architecture of “Mirrored Gardens,” participated in Toyo ITO’s collaborative design project “Home-for-All” together with Kumiko INUI and Akihisa HIRATA (which was exhibited at the Japan pavilion at the 2012 Venice Biennale of Architecture). 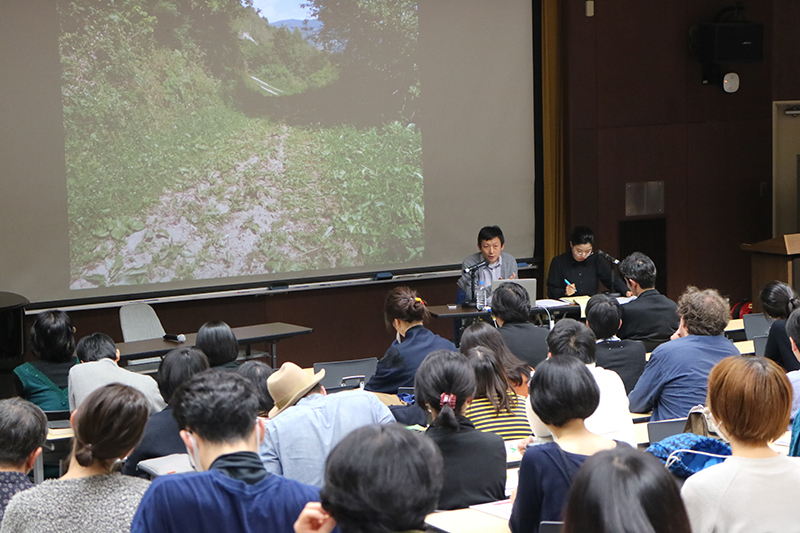 This project, which seeks to build a community house for the disaster victims of March 11, 2011 in the town of Rikuzen Takata, which had sustained damage from the earthquake and tsunami, apparently did not progress as initially planned, over the course of the collaborative work carried out by the three architects. What, in the first place, would be the meaning of erecting another building in a place that had suffered the destruction of so many, as well as damage from a tsunami? Here, in other words, was the fundamental question of “what is architecture.” But large abstract questions tend not to have answers. The architectural process stalled in the face of this concept. 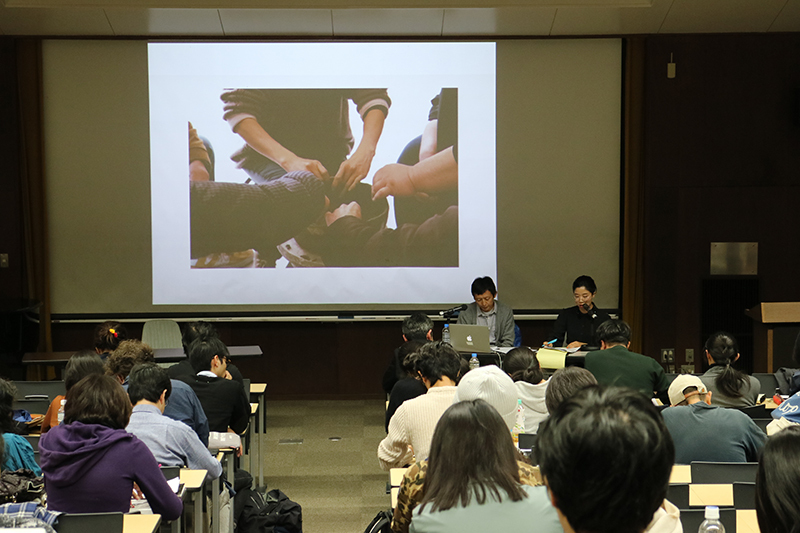 Thanks to collaborations with the local community and people, however, things started to progress. Parallel to this fundamental question surrounding the principles of architecture was a building that was necessarily derived from a real place, and actual people. A collaborative process among multiple architects is an expression of the problems surrounding the notion of the individual. Although ITO had proposed the concept of the “disappearance of the self,” erasing the individuality of three people within a small, three-person team is no small task. Rather, what becomes necessary is to reconsider how the self is reconfigured within the relationship to the other. In a certain sense, this process is akin to that which arrives at the methodology that underlies permaculture. Rather than grasping the environment and situation and creating extensions of one’s ego, the architectural process is necessarily determined through one’s relationship with the other. “Mingei” is the name given to products that have already been created in infinite quantities by nameless craftspeople, or anonymous creators. Conceptualized by YANAGI Soetsu Muneyoshi, Mingei as a movement became widely disseminated throughout Japan and the rest of the world. The ceramic artist HAMADA Shoji, who worked together with YANAGI, also made a significant contribution, and ceramics is regarded as a central expression of Mingei. My project “a pottery produced by five potters at once (silent attempt)” (2013), produced in collaboration with HU Fang and Vitamin, was also a journey that brought me closer to the philosophy of Mingei in a Chinese context. During our research trips, we asked potters about the possibilities of pottery that would be collaboratively produced by ceramic artists. The production of pottery, naturally, is sometimes carried out through the division of labor. What we sought, however, was collaboration on an equal footing. One potter told us that “this would definitely be possible, if we left our individuality behind.” In the actual documentary footage, the potters kept talking in order to communicate with each other, but their egos clashed, eventually causing arguments between them. HU Fang, however, seems to read the situation differently: all the people at the site of the filming, including the camera operators, sound engineers, curators, an artist, coordinators, and potters, had gathered for the purpose of producing pottery collaboratively. Put another way, everyone who was present was completely absorbed and had left their ego behind them in order to concentrate on the task at hand. The self had disappeared, and a collective had been formed. Here, the artist is not someone who creates something, but rather someone who orchestrates the construction of a situation. 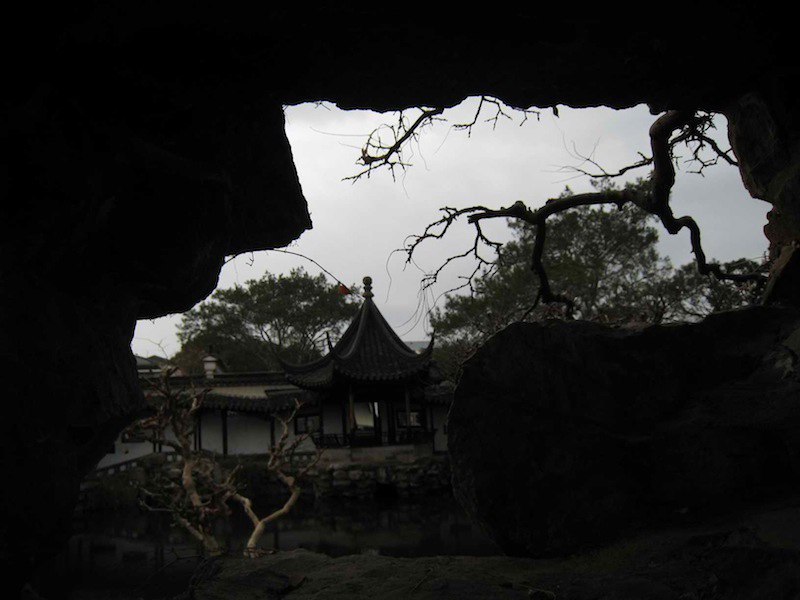 The Chinese garden, on the other hand, was originally found in every single home. It was a place where one could have daily encounters with this form of carefully constructed nature, and find relief from the daily pressures of life and society. In this way, a garden was a place for reinterpreting the space and time we inhabit from a different angle. HU Fang is a fiction writer and curator based between Guangzhou and Beijing, China. 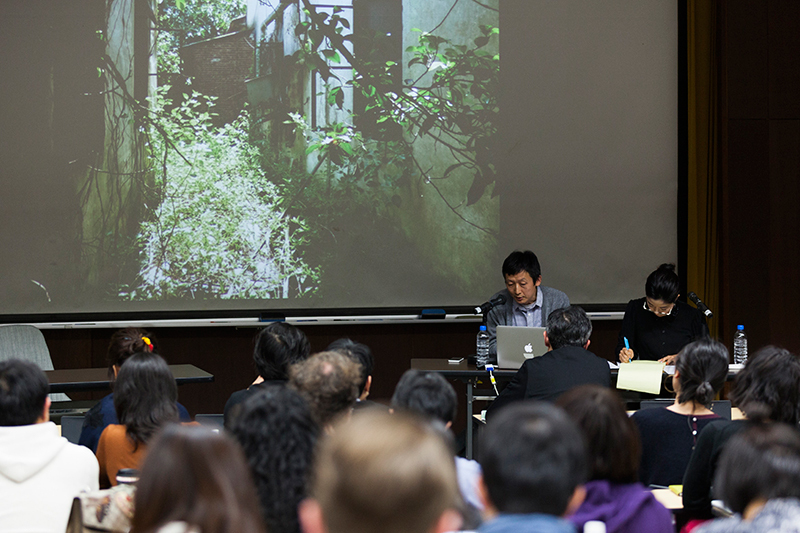 He is the Co-Founder and Artistic Director of Vitamin Creative Space in Guangzhou and The Pavilion in Beijing. 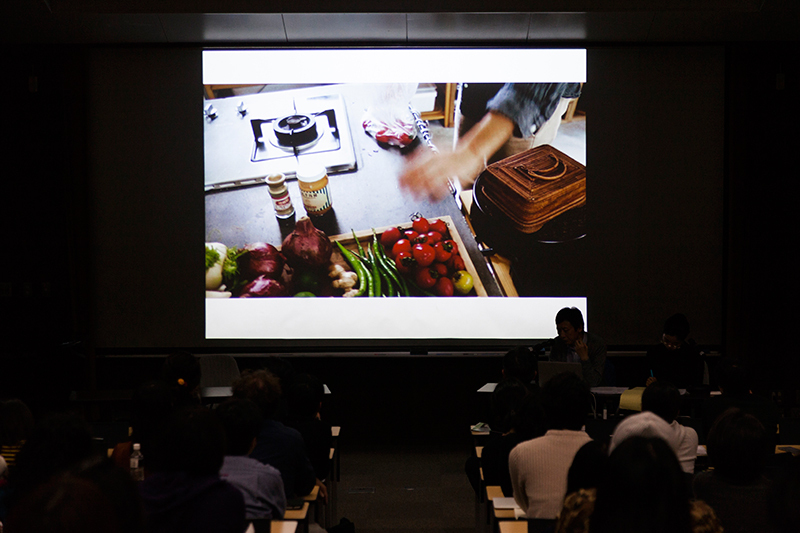 He contributes to various international projects, including the documenta 12 magazines (2007) as Coordinating Editor, and the Yokohama Triennale (2008) as co-curator. His published works include Towards a Non-intentional Space (Vitamin Creative Space; Pap/Pmplt edition, 2016), Dear Navigator (Sternberg Press, 2014), and Garden of Mirrored Flowers (Sternberg Press, 2011).